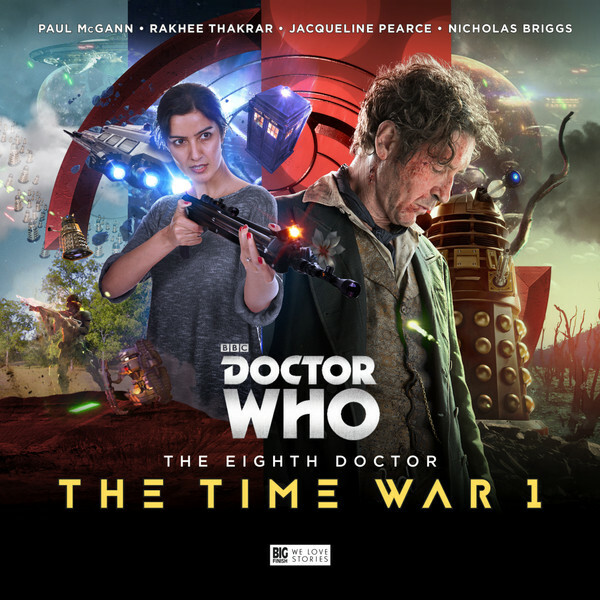 Paul McGann returns as a battle-scarred Eighth Doctor in this 5CD set, with Rakhee Thakrar (EastEnders) as new companion Bliss, Jaqueline Pearce (Blake's 7) as Cardinal Ollistra and Nicholas Briggs as the Daleks. Four tales from the early days of the Time War, with mysterious disappearances on a space-liner, unlikely alliances on a time-corrupted planet, conscripts in a Time Lord military camp and the hunt for a weapon that could mean the end of the war... With the War Doctor series sadly over, Big Finish investigate the Time War from a new angle, with a younger Doctor who refuses to fight but can’t refuse to help. Writers Matt Fitton and John Dorney, both seasoned hands at writing for the Time War and the Eighth Doctor, deliver a blockbuster quartet of adventures that begins the sequence of events that lead to the end of the Eighth Doctor’s life in Night of the Doctor.